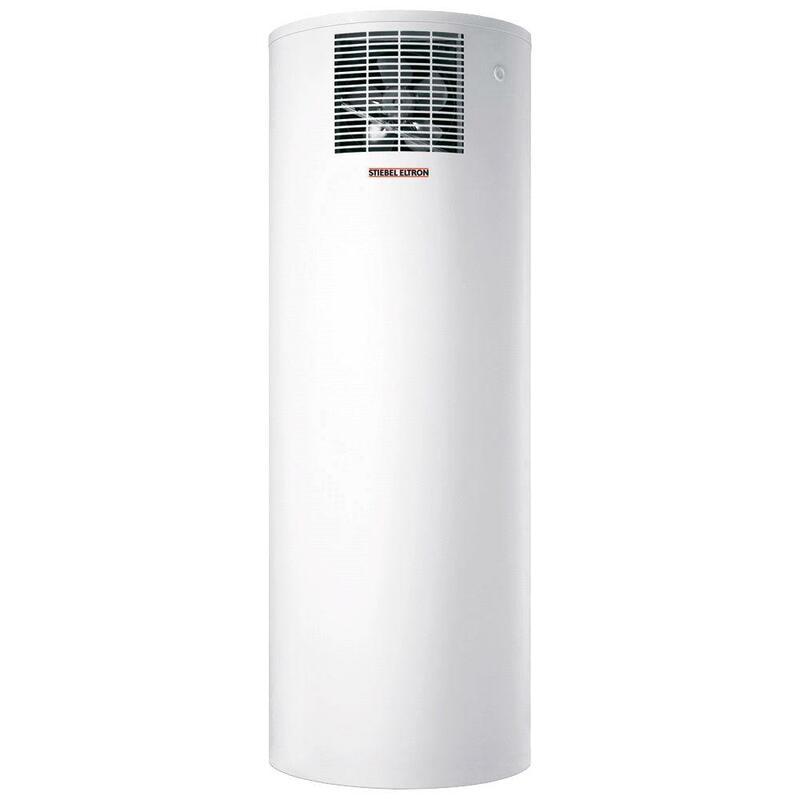 The beauty of heat pump water heating technology is that the amount of electrical energy needed to create hot water is greatly reduced compared to a conventional electric tank water heater. 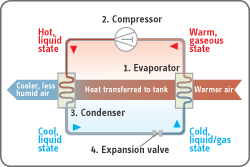 Every watt the Accelera's compressor and fan use generates 3-5 watts of hot water. The higher the ambient air temperature is, the greater the efficiency of the unit. This ground breaking technology redefines the efficiency a water heater is capable of. The Accelera 300 can extract up to 80% of its energy requirements from the energy in the air around it. In a warm climate, the unit can be placed either in the garage, where it takes heat from the outside air, or inside the house, where it helps with the air conditioning load. In a cooler climate, the unit is typically placed in the basement where it also acts as a dehumidifier. You get hot water at a discount and a dry basement as well. 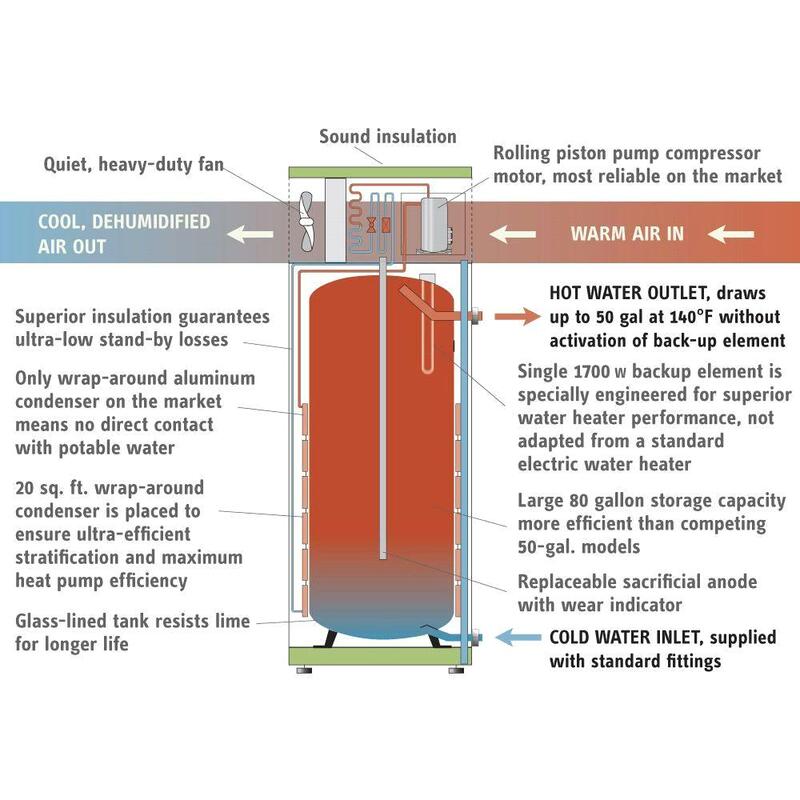 If the heat pump cannot keep up with the demand for hot water then a specially engineered 1700 W electric backup element supplies additional heat to the water. The 80 gallon tank is designed to give 50 gallons of hot water before the backup heating element activates.